With clockwork, not like clockwork, unfortunately. But that's become standard last few months as I had surgery (cervical spinal fusion--two of em--if anyone wonders) that's done me a lotttt of good (I can feel my arms and they don't hurt! I can move my neck! OMG!) and then... Got a dog. Well technically my husband got a dog, but hey. This is Daisy. She's adorkable. My return to my blog comes with more good news though, as the promised release is here! 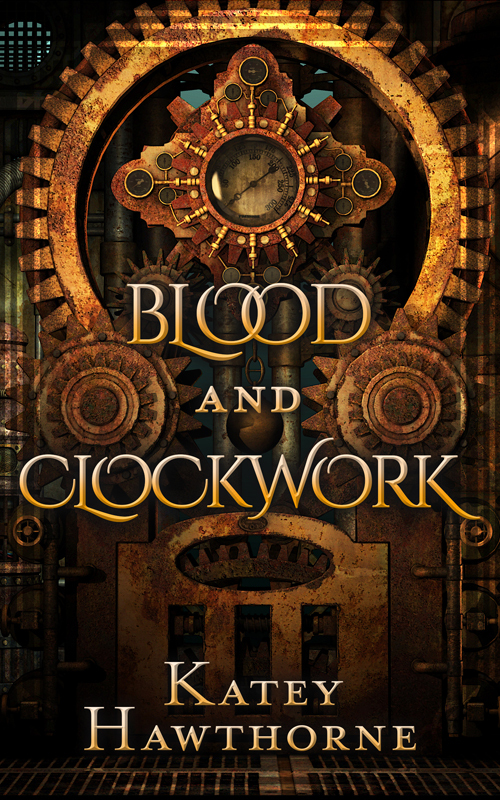 Check out Blood and Clockwork, my... Hmm I guess I'd call it a clockpunky asexual romance fantasy with lots of mystery? Sure why not! For a preview, check out my guest blog today at The Novel Approach. It has an exclusive excerpt in which our heroes meet each other for the first time. Also, there's a giveaway for LT3 gift cards, so drop a comment! Want to jump straight in and grab a copy for yourself? Great! You can find it at the Less Than Three Book Market, All Romance eBooks, and Amazon.